Summer holidays are coming up! Children’s health remains the focus of our attention. Yosemite Clinic is working to provide children aged between 3-16 Y old with a special health plan. 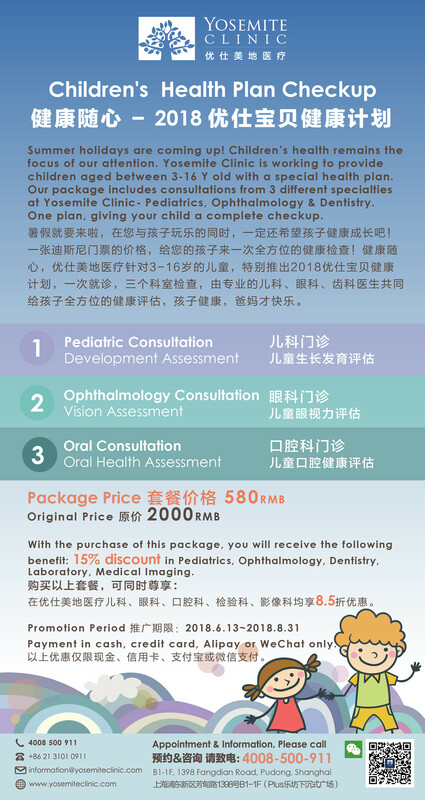 Our package includes consultations from 3 different specialties at Yosemite Clinic- Pediatrics, Ophthalmology & Dentistry. One plan, giving your child a complete checkup.